Phi is the 21st letter of the Greek alphabet. It is represented by φv; in the upper case and as φ in the lower case. Like many other Greek alphabets, phi has also been used extensively as a symbol in math and science. A very interesting and mysterious number is the "golden ratio" also called as golden number, golden mean and Divine ratio. While the lower case φ is used to represent the golden ratio, the upper case φv; represents its conjugate as we shall see. The name has its roots in Greek word "sectio aurea" meaning golden section. Phi is believed to be used frequently in Geometry by Egyptian mathematicians since 2,000 years. Around the same time Greeks discovered the magic of this ratio from the "Golden Rectangle" - a rectangle that contains an infinite number of proportional Golden Rectangles within itself. Leonardo da Vinci used Golden Ratio in his master pieces such as the Last Supper and Mona Lisa. It is perhaps the American mathematician Mark Barr who, in 1900s, represented Golden Ratio by the Greek letter φ. Many were fascinated by this special number and its very unique characteristics ! Firstly let us know that Golden Ratio, φ is an irrational number i.e., a number which can neither be expressed as a terminating decimal nor as a recurring decimal. Adding "one" to the reciprocal of φ yields φ again ! Adding "one" to φ gives φ square ! No other number has the above property. Note that φv; is the decimal part of φ.
φ and φv; are reciprocals. φv; is also called the conjugate of φ. 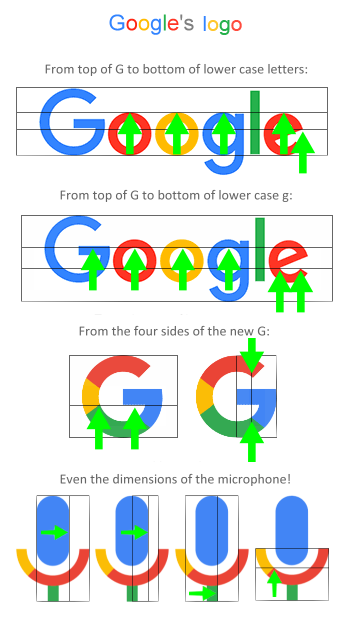 In the adjacent figure, see how φv; is used Google's logo ! 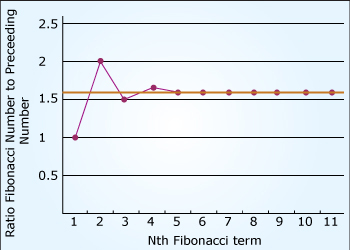 Fibonacci series is a unique sequence of integers starting with 1. 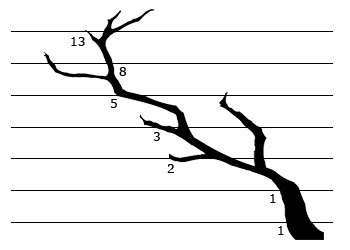 Each element in the series is sum of the two previous numbers. The second element is also 1 since there is only one previous element. The 3rd element is sum of first two elements i.e., 1 + 1 = 2. The fourth element is the sum of second and third elements i.e., 1 + 2 = 3. It is an infinite sequence having no end ! 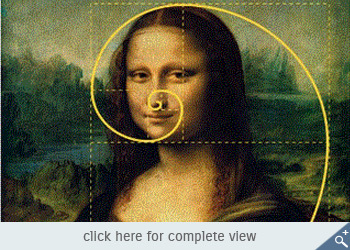 Now what is the relation between Golden Ratio and Fibonacci series ? Let us find the ratios of two successive numbers in the Fibonacci series. Similarly 5/3 = 1.66..., 8/5 = 1.6, 13/8 = 1.625, 21/13 = 1.61538......... and so on. We know that "π" is also an irrational number and is equal to the ratio of circumference of a circle to its diameter. But did you know that φ is the ratio of the length to breadth of a Golden Rectangle ? If you take a rectangle whose sides are proportional to the golden ratio, you can cut a square off one end of it, and the resulting small rectangle that remains is of the exact same proportions as the original. You can cut a square off of that and you'll get a still smaller golden ratio rectangle, and you can do this ad infinitum. That's its basic geometric property. 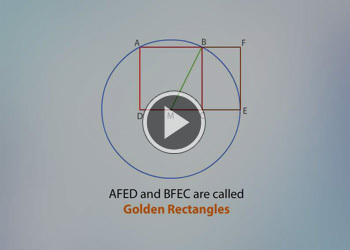 A method to construct the golden rectangle is shown in the adjacent animation. The Golden Rectangle is the most visually satisfying figure of all geometric forms ! One can progressively divide the Golden Rectangle into smaller and smaller (golden) rectangles and draw a logarithmic spiral within it. The radius of the spiral, at any given point, is the length of the square corresponding to the golden rectangle. 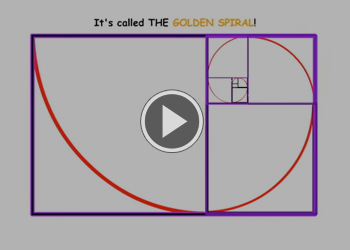 This is called the Golden Spiral as shown in the video link. 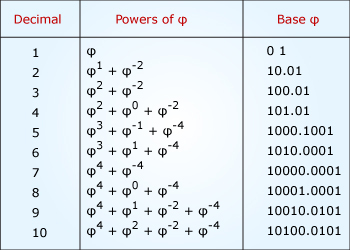 Mathematicians have come up with a number system with φv; as the base, just like the well known decimal number system with '10' as base (The Binary Number System employed in digital electronics has '2' as its base. The octal number system has '8' as base and the hexa-decimal number system has '16' as its base). Despite having an irrational number base, in the standard form of the φ-based number system, all non-negative integers have a unique representation as a terminating (finite) base-φ expansion. That is the beauty of this number system ! Here is perhaps the most interesting manifestation of phi in nature. It has to do with efficient packing. When you look straight down at a tree from above, the tree is most efficient if as many leaves as possible are visible and not shaded by other leaves. As a stem grows, it follows a genetic formula to know how often to produce a leaf and at what angle from the preceding leaf. If it produced each leaf at intervals such as 1/4 turn, every leaf would end up shaded by the fourth leaf above it. In fact, no matter what integer fraction of a full turn we use, we end up eventually repeating a pattern and shading leaves. So evolution eventually resulted in a more efficient genetic instruction: φ. Produce φ leaves per turn – just over 137.5° between successiveleaves – and no two leaves will ever shade each other. This angle is called the golden angle. 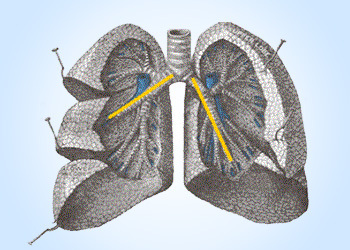 This tendency for ratios based on φ to eliminate repetition has engineering applications. One of the most familiar is in the design of sound rooms for listening to music or watching movies, rooms in which we want to cancel out standing audio waves and resonances. Audio engineers refer to the golden room ratio, which establishes the basic ideal dimensions of a sound room to be 10 × 16 × 26. The height of the room 10 × φ &TildeTilde; 16, giving the length of the room, and 16 × φ &TildeTilde; 26 which gives the width of the room. Any diagonal straight-line path traveled inside a golden rectangle will reflect infinitely without ever repeating its course, and so sound waves inside a room of such dimensions are always dispersed as efficiently as possible. The Golden Ratio has a great impact on art, influencing artists' perspectives of a pleasant art piece. Mona Lisa's face is a perfect golden rectangle, according to the ratio of the width of her forehead compared to the length from the top of her head to her chin. 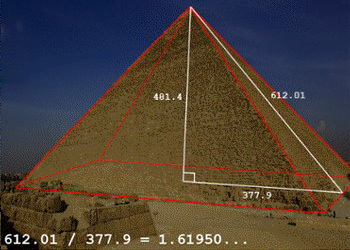 The Golden Ratio has appeared in ancient architecture such as the Great Pyramid in Giza, Egypt which is considered one of the Seven Wonders of the world, and the Greek Parthenon that was constructed between 447 and 472BC. Half of the base, the slant height, and the height from the vertex to the center create a right triangle (refer adjacent figure). When that half of the base is equal to one, the slant height (called the hypotenuse) would be equal to the value of phi and the height would be equal to the square root of phi. Fibonacci and phi are used in the design of violins and in that of high quality speaker wire. There are 13 notes in the span of any note through its octave. 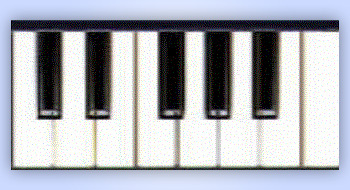 Note that the piano keyboard of C to C above of 13 keys has 8 white keys and 5 black keys, split into groups of 3 and 2. Rectangles being neither too square nor too narrow are the most attractive, and often the most usable in design. The golden ratio falls within the range of generally pleasing rectangles, but so do √2 and √3. So it cannot be claimed that phi is the perfect ratio that is best for all applications. While phi is definitely a fascinating number, we should not be carried away too much by its beauty.